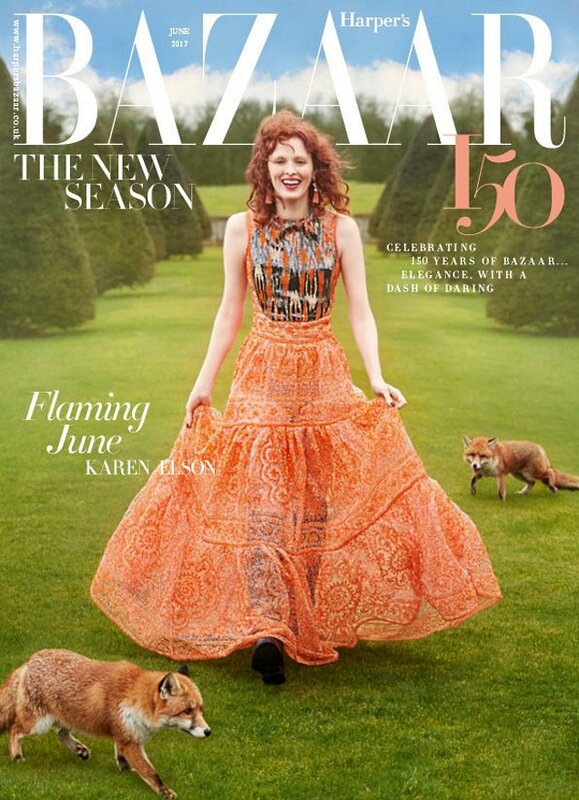 British Harper’s Bazaar continues to eschew the usual celebrity suspects in favor of cover models — not that we’re complaining. After an ethereal Lindsey Wixson cover last month, Bazaar welcomes back model-turned-singer Karen Elson for its June 2017 cover story. Taking things outdoors (once again), Karen was captured by photographer Richard Phibbs as she roams the perfectly manicured gardens of a stately home. The cover made exclusively for subscribers (above) was the first to surface, but is it time for the Bazaar team to head back indoors? “I’ve seen enough content of this magazine to know that every single reader must own a country estate somewhere posh,” critiqued Melancholybaby at once. “The background looks fake, the foxes look edited on the image. The covers are starting to look all the same,” pointed out MON. “Crikey, not what I was expecting!! She’s obviously leaping ahead, but it just looks awkward. Also her hair and make-up is a mess. They should’ve gotten Agata Pospieszynska or Erik Madigan Heck to shoot this. I’m hoping the newsstand cover will be better,” sighed a hopeful Benn98. “I enjoy this magazine a lot, but I agree it’s become very Town & Country. 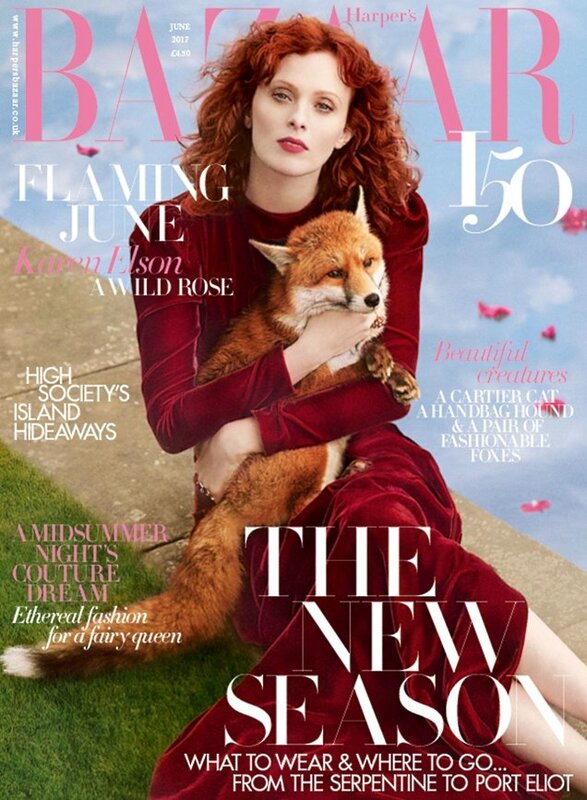 Enjoying this cover, and I’m glad to see Karen Elson featured, her new album is fantastic,” said HeatherAnne. See more from Karen’s cover shoot and share your own opinion with us here.